Chillin like a villian. Or something like that. 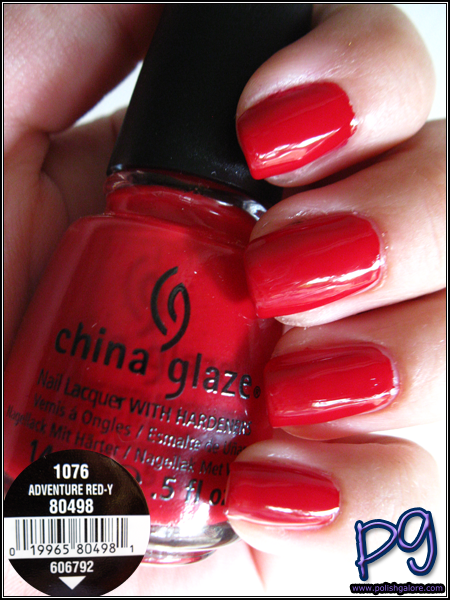 I decided to be on a red kick for a bit - and what better way then with a China Glaze red? It's been no secret that China Glaze has and always be, my first love, and as much as I thought I'd be an anti-red nail polish kind of girl, ChG does it RIGHT. 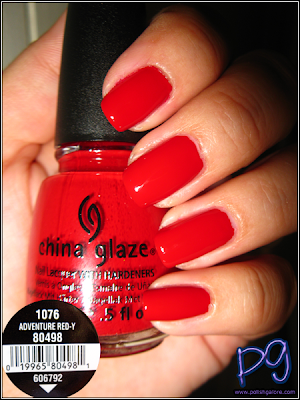 This is Adventure Red-y from the On Safari Fall 2012 collection. 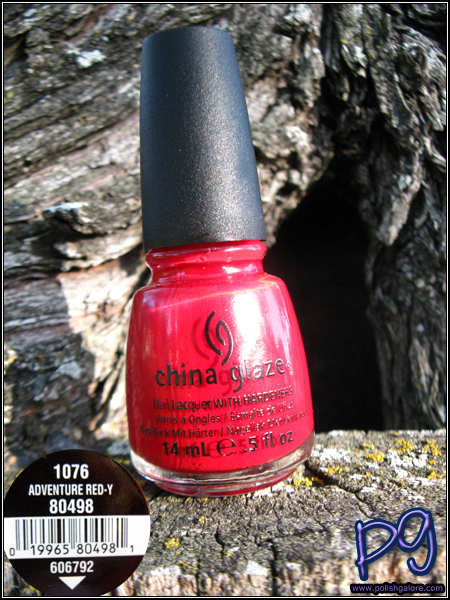 It's a great almost neon red creme, that reminds me a lot of the Kicks Collection from even the Up And Away Collection. (Did I just walk into a comparison post needs to come up?!) 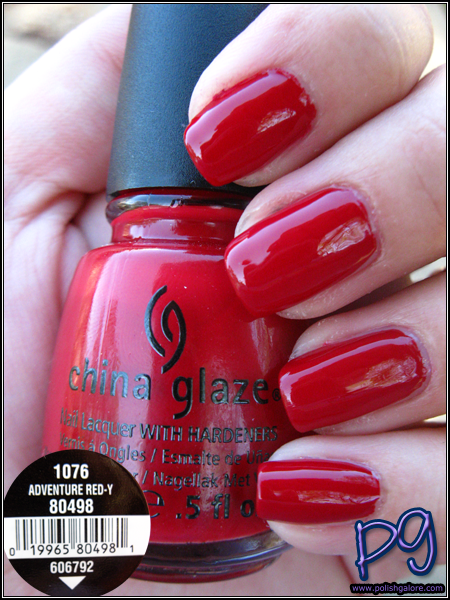 I used a base of Poshe, 2 coats of polish and a top of Seche Vite. I did find this polish to be a little thick, so have your nail polish thinner on hand. 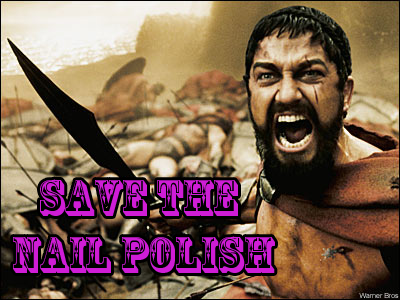 By the way, do not thin your nail polish with nail polish remover or acetone. Granted, I do not have a cosmetology license so everything I say is based on my own opinion but what does acetone do? It breaks down and removes polish. So if you're putting it in your complete bottle of nail polish... well. Yeah so just don't do it. Please. Look how lovely this color is! So smooth, so red. Nom. So good that I had to take another sunny picture. Look at her, she glows. This is really a true red - no blue or orange pulls to it. Just red red red-y. This is indirect sun here. 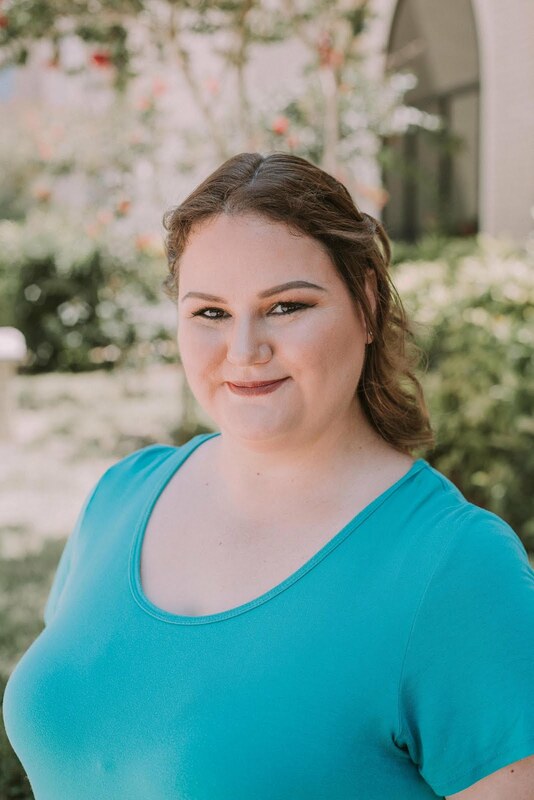 For fun, I stood next to the red siding on my house which I feel like I can no longer call red. That's maroon now. And we end it with a pretty shot of the flash - you can see how opaque this color is and just how well it covers. 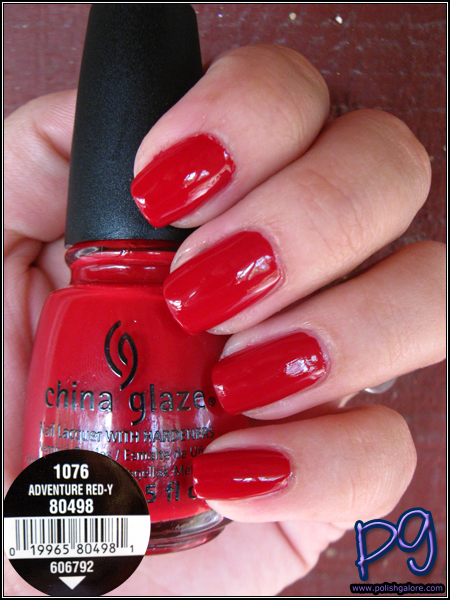 this is a beautiful red! !